Home Good Deals Cross Country Cafe Wacky Wednesday Sale! Wacky Wednesday Coffee Sale! Every Wednesday we will post a totally wacky sale price on a variety of coffees including Keurig Kcups. 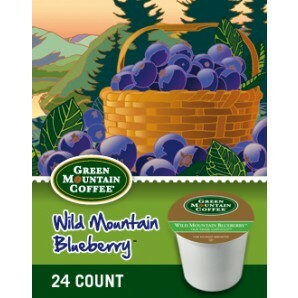 Green Mountain Wild Mountain Blueberry Keurig Kcup coffee – $11.99 per box of 24! Tastes like a buttery, blueberry pie nicely wrapped in a delicious Keurig Kcup coffee crust! Twinings Pure Peppermint Kcup tea– $9.99 per box of 24! Peppermint creates a refreshing and aromatic artisan Kcup tea. Don’t forget, you receive free shipping when you spend $59 or more!